Oak Crest serves as a valuable resource to local K-12 educators, students, and schools. 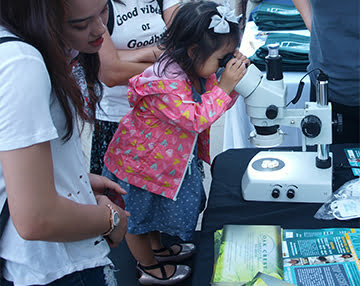 Through its outreach programs, Oak Crest, enhances science education in the community in an effort towards increasing science literacy, engagement, as well as career interest and preparedness among K-12 students in the Greater Los Angeles area. Oak Crest offers a wide variety of free programs that reach local secondary school students and K-12 teachers, where students and teachers can gain hands-on laboratory experience under the mentorship of a research scientist through participation in our volunteer programs. 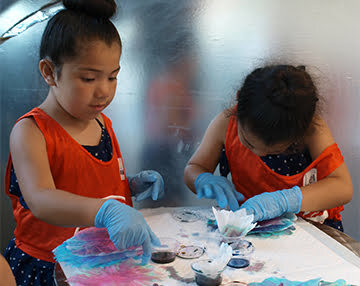 Students and teachers can gain hands-on laboratory experience under the mentorship of a research scientist through participation in our volunteer programs. 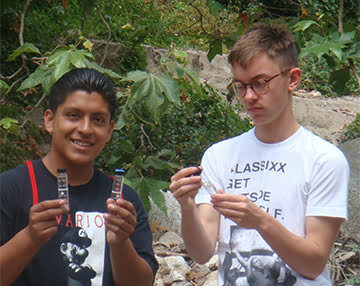 With the City of Monrovia’s YES program, Oak Crest provides internships in science research and education. Oak Crest runs a professional development workshop series for local science teachers to learn about cutting-edge science topics directly from scientists for classroom activities. Together, our programs create professional learning communities of science educators, who collaborate and network as they build stronger science curricula and programs. In Summer 2018, we launched an exciting new program, in collaboration with the City of Monrovia, called the Oak Crest Junior Research Academy (JRA) where students in grades 7-9 can participate in a two-week laboratory experience between June and August. Other programs give students opportunities to learn about engaging science topics and science career pathways directly from scientists. 2018 © oakcrest institute of science. all rights reserved.